Jubilation is a unique beast, an a cappella gospel choir with a rock & roll heart. They love what they do and audiences love them in return! Born in Auckland in 2000, Jubilation is a virtual gospel supergroup including R & B legend Rick Bryant, entertainer extraordinaire Jackie Clarke and theatre supernova Jennifer Ward Lealand. Bound not by common belief, but purely by the love of singing, this diverse ensemble includes professional musicians, teachers, actors, a yacht maker, a master builder and a lecturer in Russian. Their eclectic repertoire of gospel, soul and blues draws from the songbooks of such luminaries as Nina Smone, Tom Waits, Curtis Mayfield, Blind Willy Johnson and the Staples Singers and ranges from the 1800’s to the present day. They’ve sung at the openings of the Auckland Art Gallery, Auckland’s Q Theatre with Dave Dobbyn and at the Wynyard Quarter ( as a flash-mob choir startling and delighting passengers on the vintage trams ). Audiences have ranged from 60 at Arrowtown’s tiny Old Cheese Factory to 10,000 on WOMAD’s main stage. At the Civic’s “Bare” fundraiser for Christchurch they magically recreated their stunning backing vocals on Don McGlashan’s epic ‘Bathe In The River’ with Hollie Smith. Festival performances have included Nelson’s Opera in the Park, the Wellington ,Tauranga and Waiheke Jazz Festivals , Christchurch Arts Festival, New Plymouth’s Festival of Lights and Wanaka’s Festival of Colour. 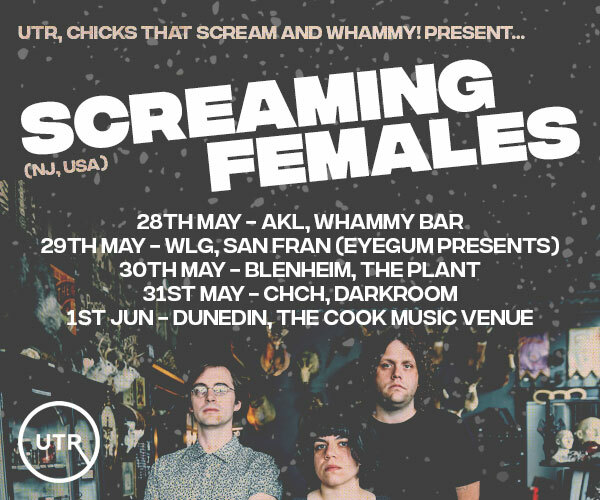 2018 saw them playing Putaruru for the first time , revisiting an old favourite, the Leigh Sawmill and a sell-out show at the Pumphouse. 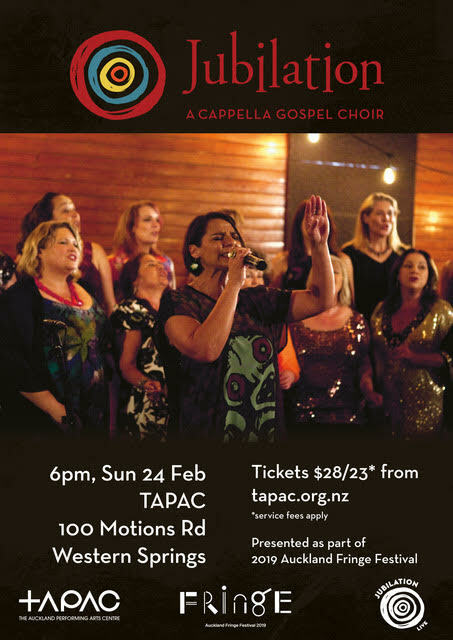 They’re delighted to be returning to Tapac as part of the Auckland Fringe Festival so do your spirits a favour and join them for a soulful, heartfelt and roof-raising evening!